TGI Fridays $10 Endless Appetizers! 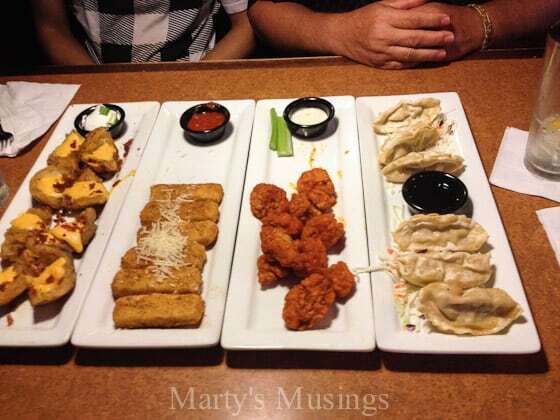 Have you heard about TGI Fridays $10 Endless Appetizers? I know it’s an amazing deal because I took my youngest two kids and my hubby there last Sunday night. Typical girl, my daughter poses so sweetly. This was the most “presentable” pic of my boys. You know how boys are! I had already perused the menu before we left home because I was starving and knew I would have trouble deciding on just one! Luckily there were four of us and we had some great choices! Here’s what we picked. 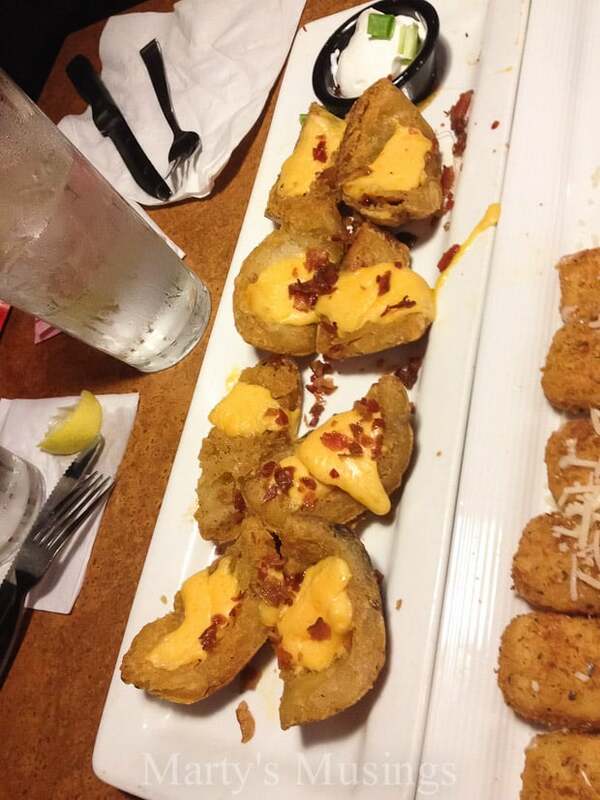 The Loaded Potato Skins are my go to appetizer. Can’t go wrong with potatoes topped with crispy applewood-smoked bacon and green onion sour cream. 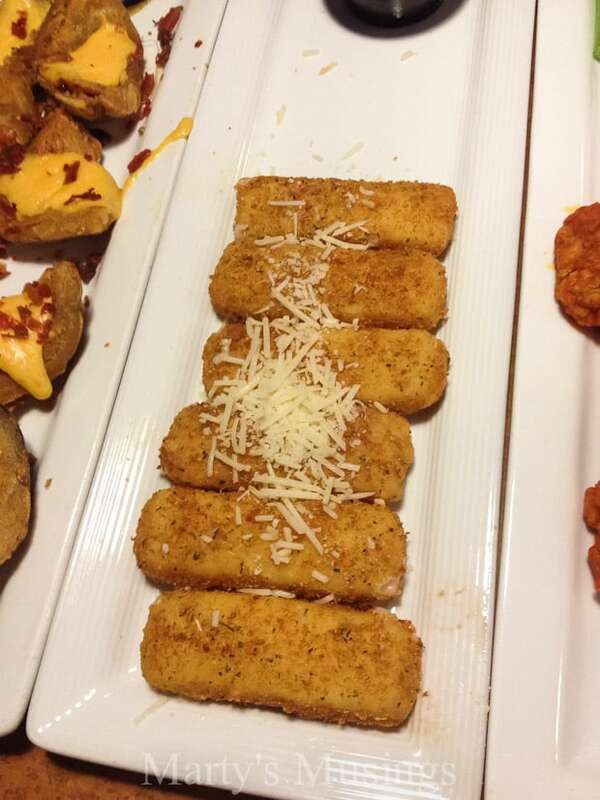 Golden Mozzarella Sticks were blended with Asiago cheese, then topped with Parmesan and Romano cheeses and served with marinara sauce. My husbands favorite? 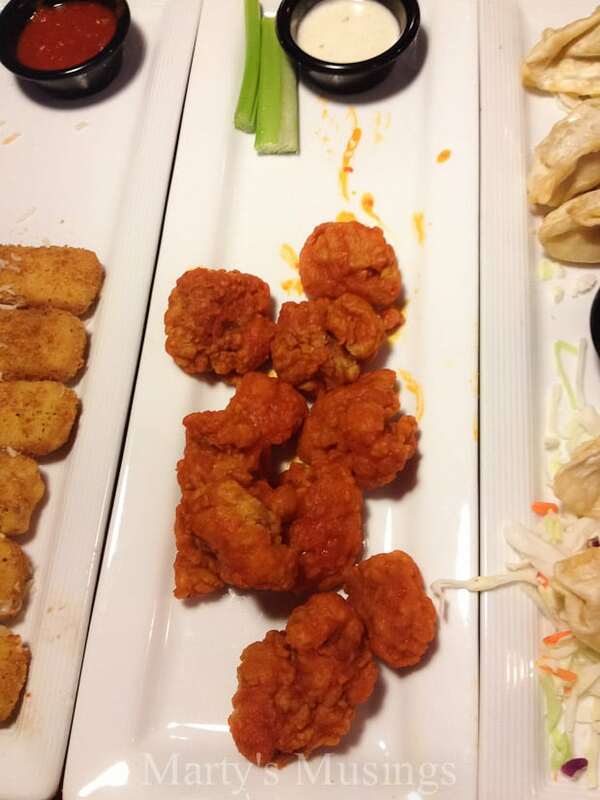 Boneless buffalo wings served with Bleu Cheese or Ranch dressing sauces. You can also pick the main flavor of the wings with Tennessee BBQ, Garlic Parmesan, Buffalo or Scorching Hot as the choices. Our stomachs could only hold one helping of the buffalo and garlic parmesan ones, but they were delicious! The last appetizer we tried was steamed, Pan-seared Pot Stickers which were pork dumplings served with a Szechwan dipping sauce. 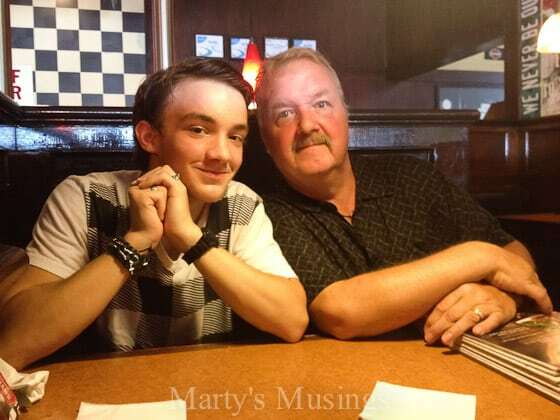 Filling up a teenage boy with unlimited amounts of food? That’s a win-win! For only $10 per person? Total deal for our family and yours, too. 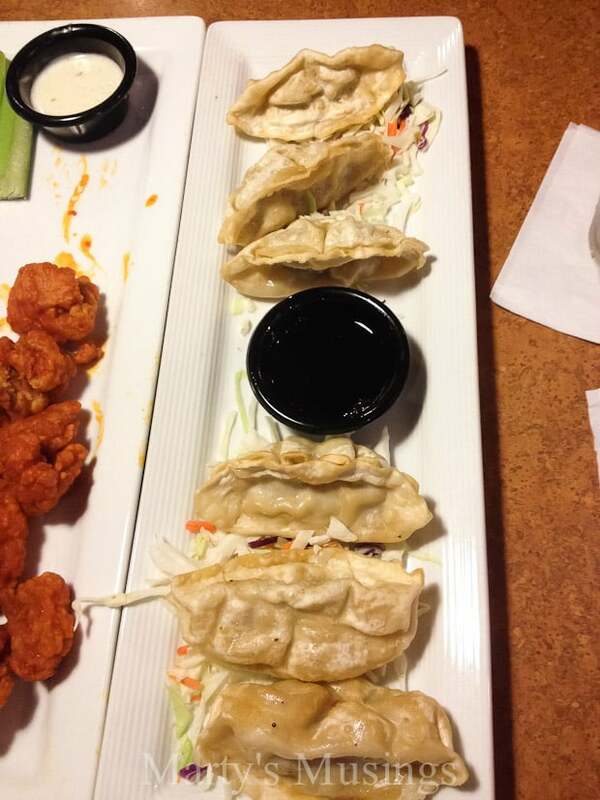 Buy one appetizer at $10 each (per person) and get free refills on same appetizer. Valid on select items only. At participating restaurants for a limited time. Dine-in only. One offer per person, per visit. Not valid in conjunction with any other coupon, promotion or discount. While supplies last. Tax and gratuity not included. © 2014 TGI Friday’s Inc. Please drink responsibly. 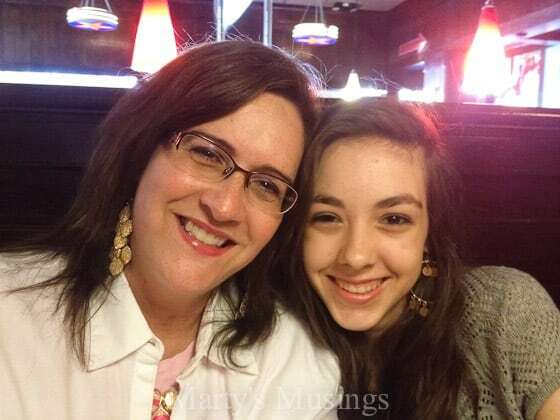 Unlike when I took my homeschool mom friends to TGI Fridays or when I took my pregnant daughter out, we were so stuffed we didn’t even have the Oreo Madness! Which one would you order in unlimited amounts?